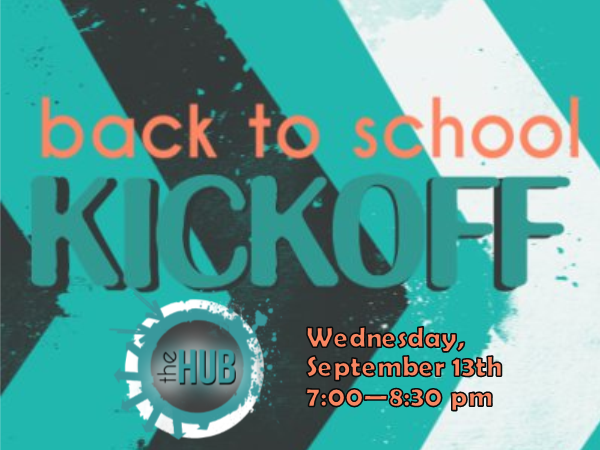 You're invited to the Hub's Back to School Kickoff on Wednesday, September 13, from 7:00- 8:30 pm! We're starting things off a little different this year by doing an Open House. That's right! Bring your parents! We'll start off the night with a few classic games -- it'll be the perfect chance to beat your parent -- err, we mean teach them -- in Elimination, Heads Up, and more. After this, we'll have a time of worship together and then break off into two groups: the parents with Pastor Mark to cast the vision for the year and the students with Lindsay. Of course, there's no way to end the night like ​some good old fashion root beer floats. Be there or be square! See you soon!